Defeat after defeat. Tried to get a Spit I pilot to 100% on my second account and it took me >10 battles I think. Not just defeats, but slaughter ; 800-100, 400-42, stuff like that. But matchmaking is OK, sure. Nothing wrong there. I don't care much about wr here. 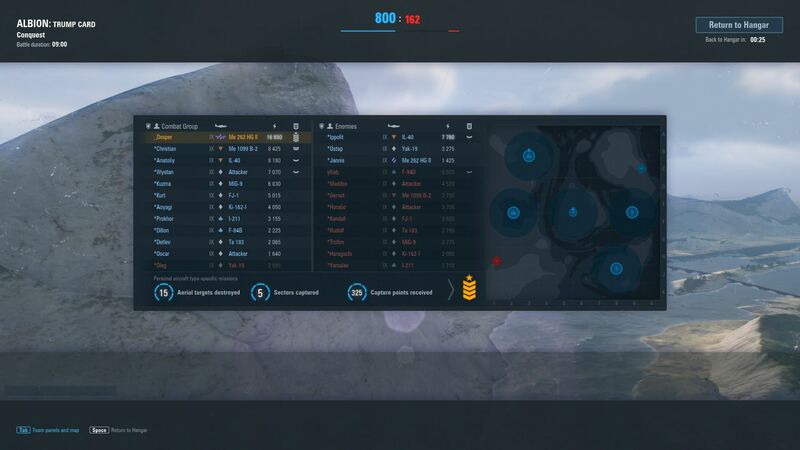 Yesterday someone called me tomato in warplanes, I'm still laughing. Matchmaking doesn't recognize individual players skills, and it never will. When there is many humans in the battles, everything is possible. And why in hell you need second account? If you have more than one you are masochistic! We don't use term tomato in here. Language that is used is much stronger. And there are bullets that are flying as well. Yeah, sometimes that happens. Skill based matchmaking won't happen, especially not with the low server populations. I will restate the old advice though... Just take a break from playing a single plane, or even a tier, if its not working out and move to something else for a while before going back. And as to tomato, sounds like a WoT player visiting for the free gold from the event. That's nice and vanilla, but I've noticed a lot of WoT players have come over for the event and freebies during the event, bringing the standard WoT language with them. Edited by xr901, 11 September 2018 - 02:31 AM. I don't care much about wr here. I don't care about WR either, but roflstomps are too short for getting credits, exp, points, pilot skill etc etc ... and generally no fun at all. Stop playing 2-4 accounts, stop playing in the t4-6 bracket... it's full of apes that will ruin your game. I voiced my opinion in chat... i would trade them for bots, cuz bots are better objective scripted than the sub-humans you get in said bracket. A bot will get out of cap, a human will do whatever possible to die inside... a bot will disengage from a turn war it can't win, a human will do 10 turns before dying, chase bomber flights while the enemy ticks 3-4 bases. Get yourself in the t8-10 bracket, much better games, less brain-dead playing there... for the moment. Moomba, wasn't I killed you about 30 times while I was defending base? I don't like tier 4 either but i play it for missions and if i noticed correctly these days is rule that if you win middle you will win the battle, nm if you lose it couple times during the game, but who first cap middle (no matter if its airport, garnison...) they win. Maybe I'm wrong but I think that is the case unfortunately. You are wrong. If somebody uses his brain, leaves the middle and instead caps the other bases while all the idiots go into the middle he will win. Before Summer storm event I never run middle and I never understand others who was running and died like idiots, but since this event start I noticed that wining middle wins the game. Is that really the case or luck, I don't know. Edited by Vule777, 12 September 2018 - 02:14 PM. Probably a lemming effect - nobody turned on his brain. I remember that day, I made 2 wins of my daily doubles. Then out of blue 5 looses in the row. I wanted to quit but got short break and came back. And then the game gave me this. This map is so unbalanced is hard to believe that is still in rotation. Anyway then I made 12 wins in row. So the game recognized the mistake making me loosing and throw me this map as apology. So all is fine, apology accepted and all went like normal. Free win side, thank you WoWP. This is not brag, more like funny story, but it's so bloody hard to win on oposite side. Edited by _Desper, 13 September 2018 - 02:00 PM. This map is so unbalanced is hard to believe that is still in rotation. That is a horrible map ... on very rare occasion will the team with the mining plants win. If the other team takes the command centres and holds them, the bomber streams will take your plants in a single bombing run. Taking and holding the airfield so you can faster get on the right side of the map sometimes helps. If you're lucky and have lots of heavies to stop the bombers you might also have a chance.